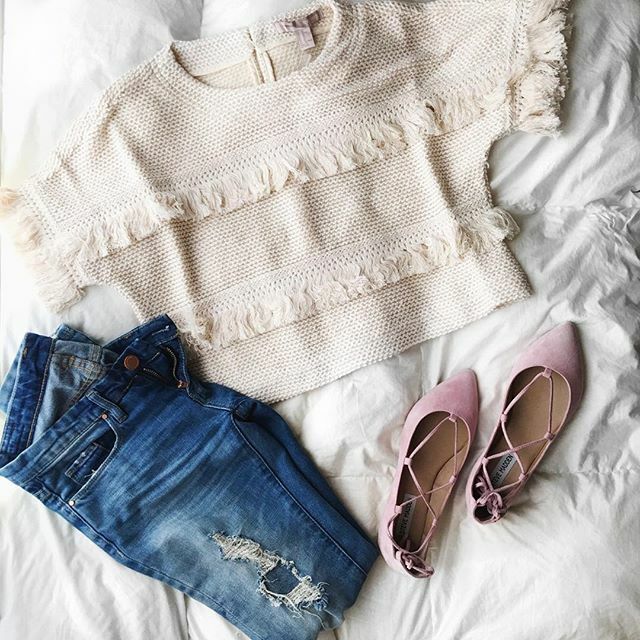 Even though it is FREEZING outside, spring is creeping in to my wardrobe. 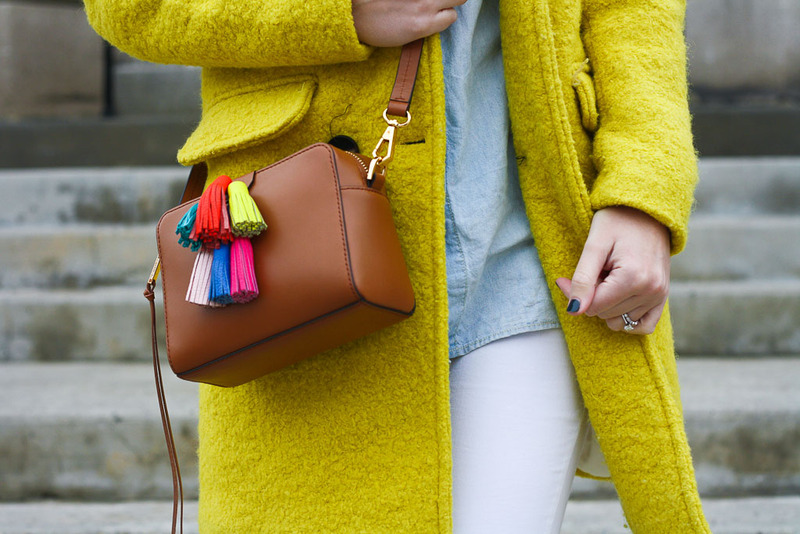 Is there anything happier than a bright yellow coat and fun colored tassels? 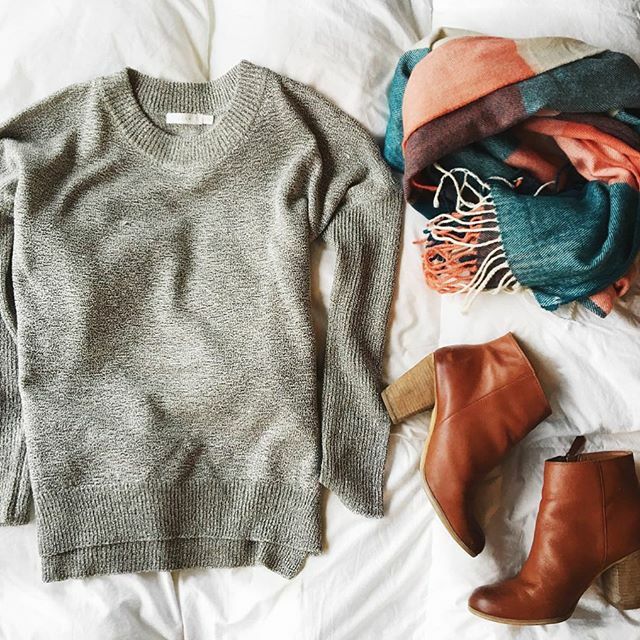 Paired together, makes for an outfit that might just tide me over until spring time. It also makes for the perfect birthday outfit on this chilly February day! This little bag was a birthday present to myself. 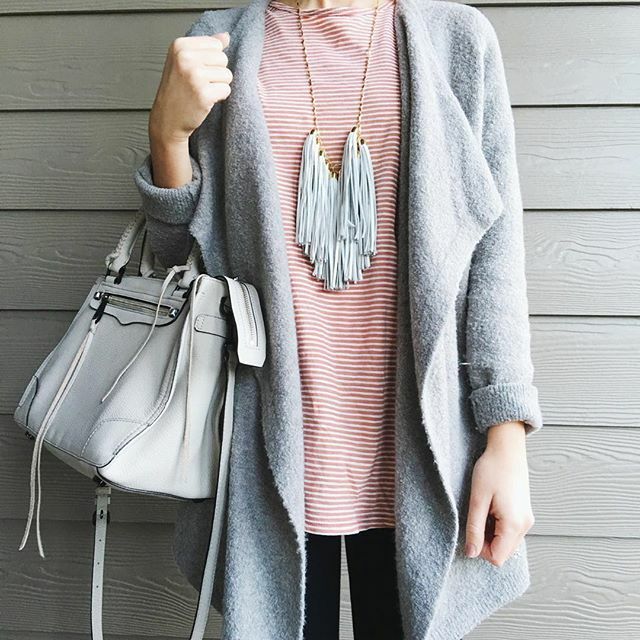 I am OBSESSED with the bright tassels and the fact that it is the perfect size. 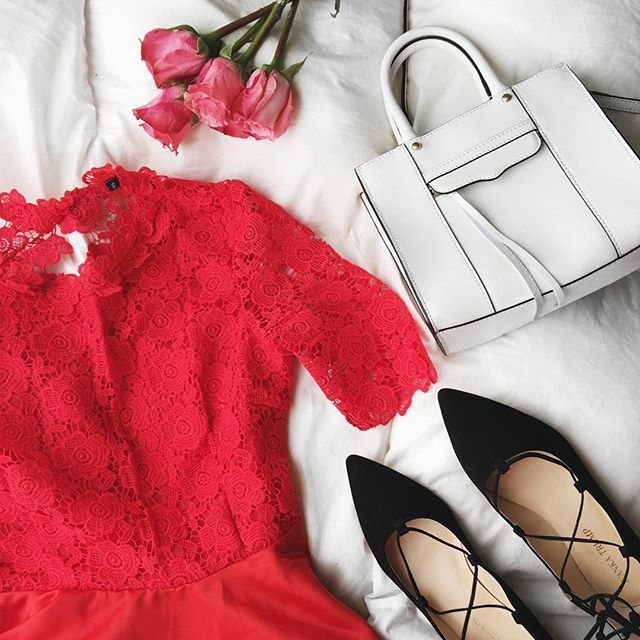 If this style isn’t for you, check out other options below, like the fabulous clutch. 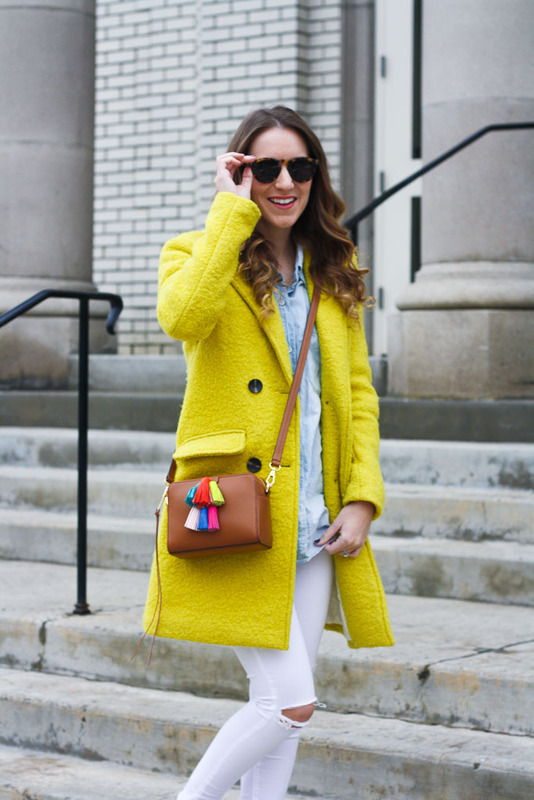 This will definitely make the perfect bag to transition into warmer weather! 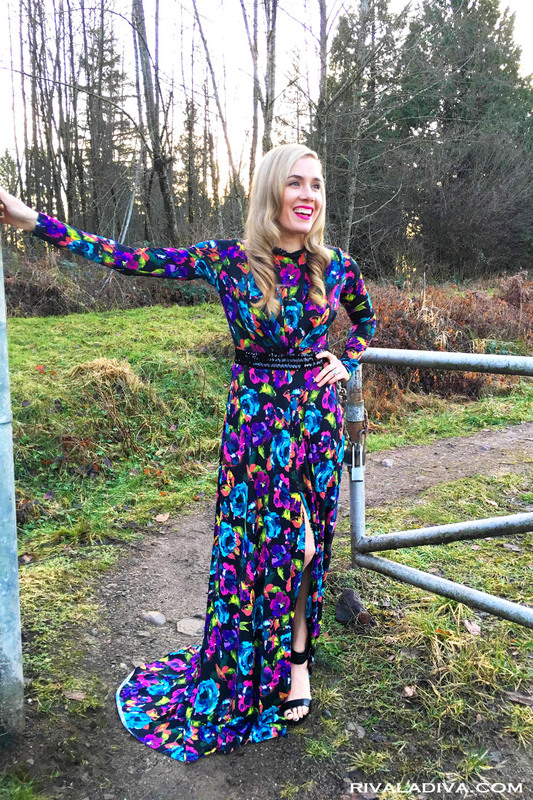 This weeks blogger of the week from last weeks link up is my sweet friend Mary-Katherine of the Gold Hatted Lover! 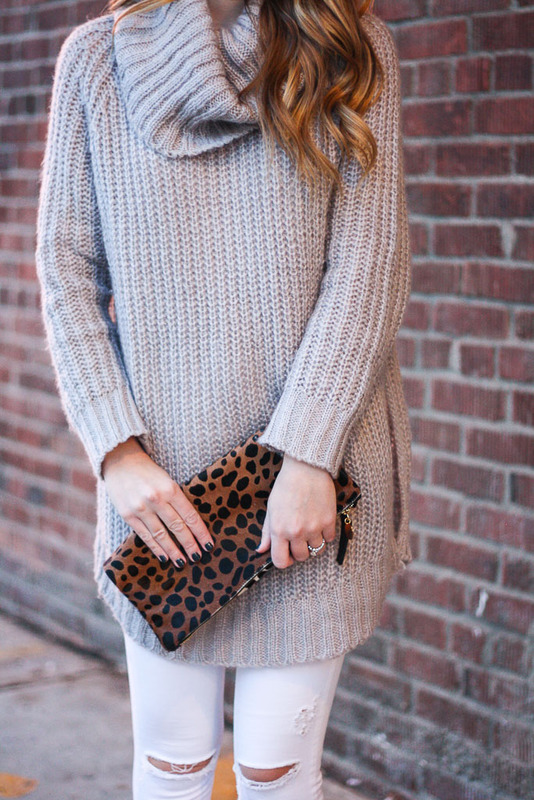 This girl is just as obsessed with winter white as me! 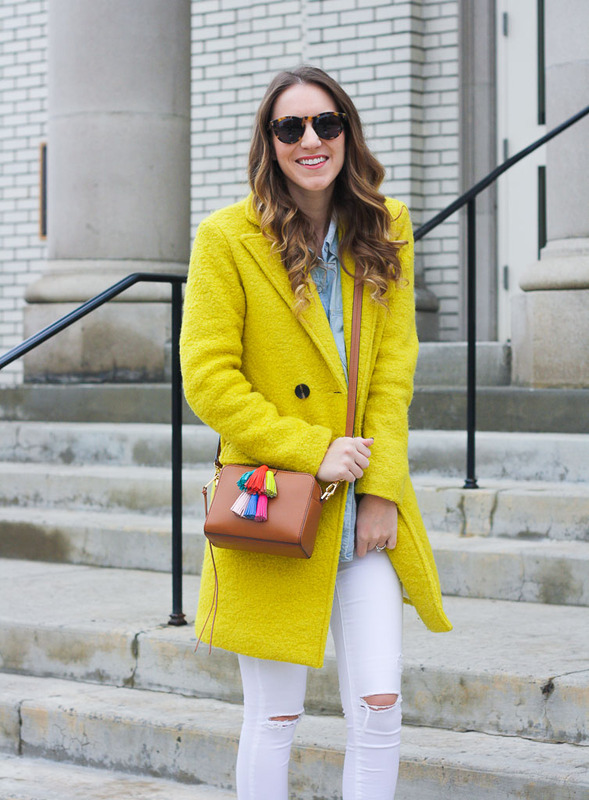 I love that she shares some great tips for putting together the best winter white outfit! 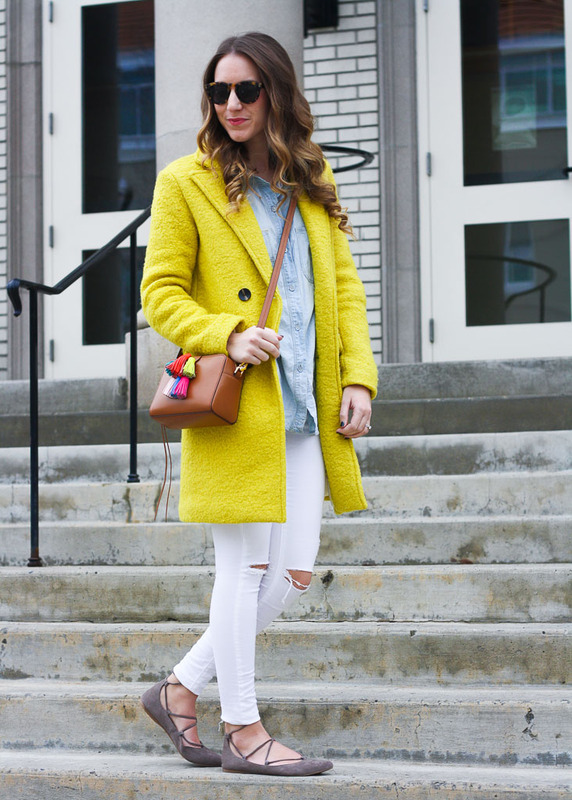 She styles white for winter often, giving me major style inspo! 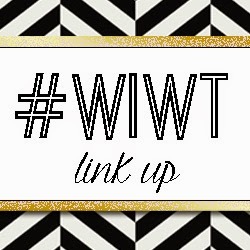 Definitely a blog you will want to check out! I’m coming off of a long and relaxing 3 day weekend and ready to take on the short work week! I don’t get many lazy days, and yesterday I decided to stay in comfy clothes, not do my hair or makeup and spend the day watching Netflix. Sometimes days like this…especially when it is frigid outside…can be totally blissful. Anybody else enjoy a day like this? 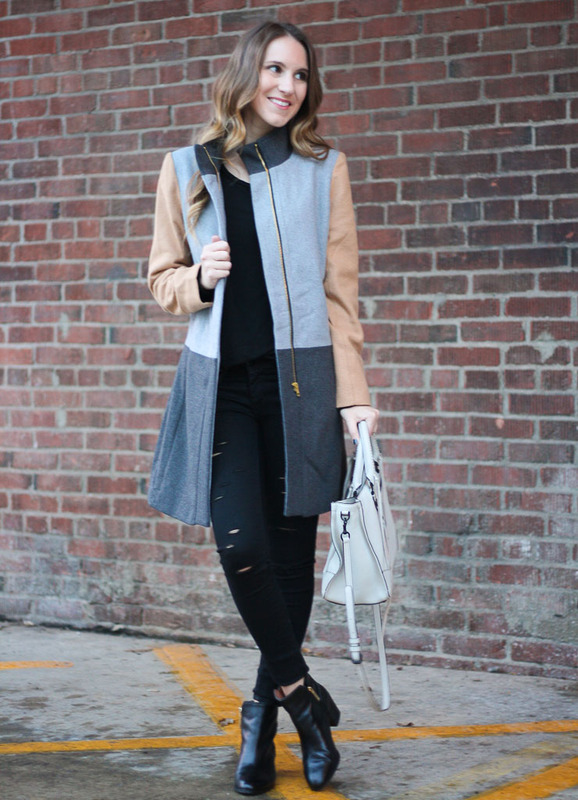 An all black ensemble is one of the easiest outfits for the winter time. 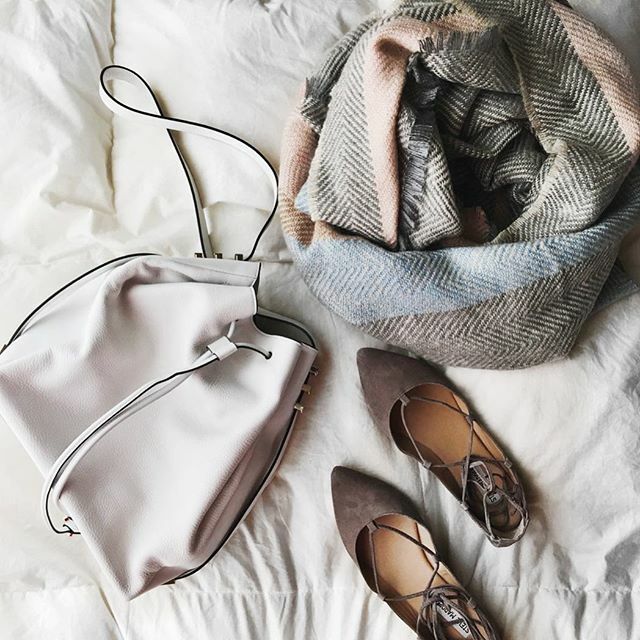 Anybody else struggle with dressing on those chilly days, where really all you are after is warmth? Black skinnies and a black long sleeve are so easy to accessorize! 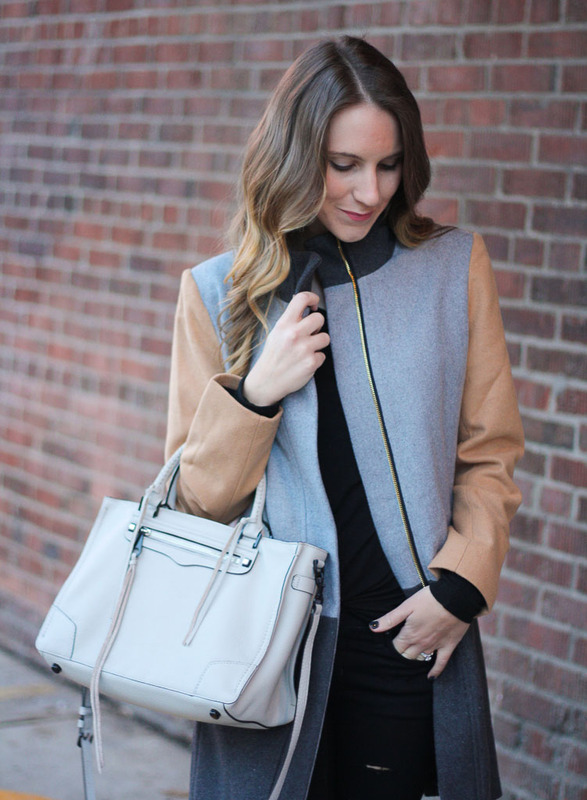 One of my favorite ways to accessorize? 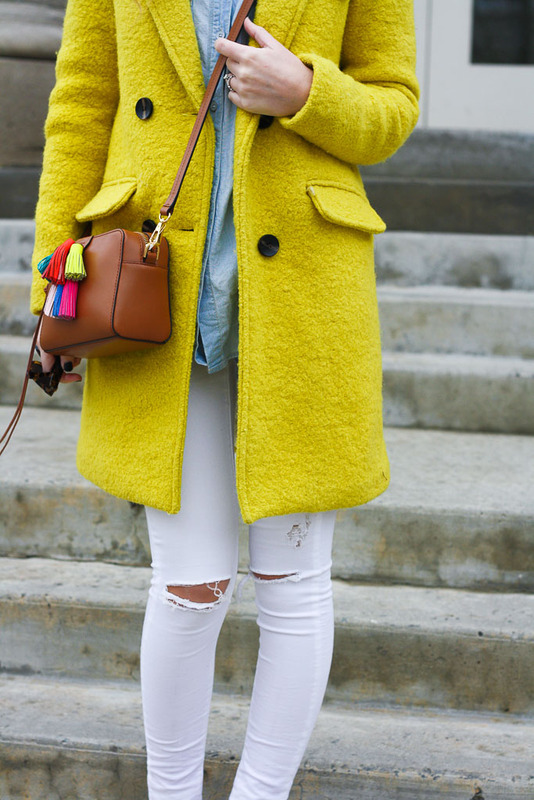 Pairing it with a colorful coat. 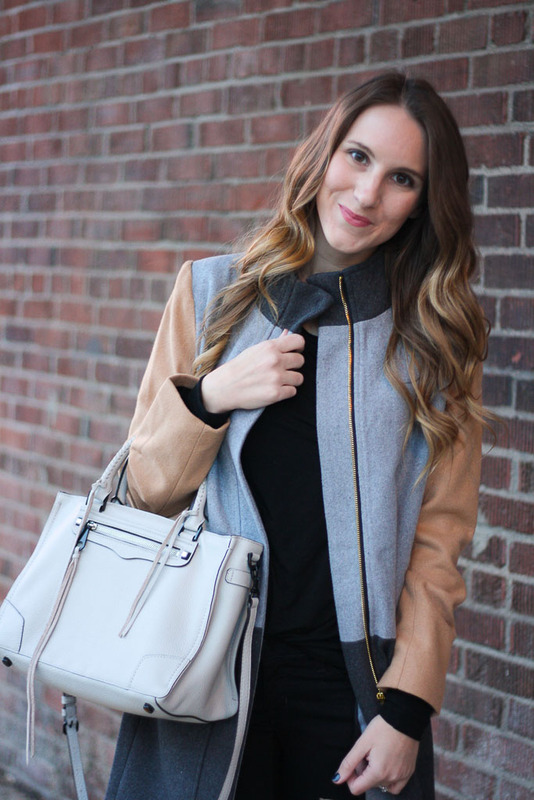 I love this option because it sticks with neutral tones, but definitely pulls the outfit together!